The centrality metrics such as Closeness and Betweenness in Online Social Network (OSN) determine how much end-to-end delay and queue-load of a node can have as a source or as a destination through Social Routing. Experimentally, we find that nodes with high Out-Closeness centrality in OSN suffer from high end-to-end delay as a target, but not as a source. We show that the cause of this end-to-end delay is that most nodes with high Out-Closeness centrality have low In-Closeness centrality. Moreover, we show that the increase in the local In-Degree centrality will increase the global In-Closeness centrality. We also find that the promised level to increase the In-Closeness centrality of a node is its Friends of Friends-Of-Friends (Level-3). 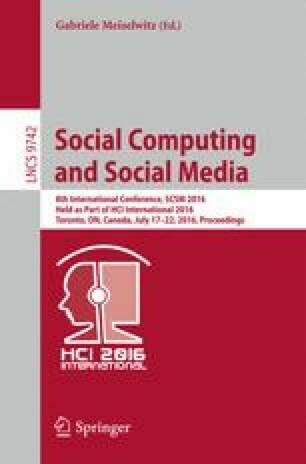 An agent-based Model for Social Routing is proposed and a set of large-scale Google+ Graphs are used. A simulation study is also completed by propagating a set of requests in different societies with different routing schemes and diverse queue disciplines, in order to compare the average end-to-end delays from the source and target perspectives.